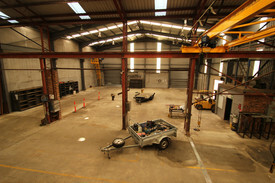 254 Commercial Real Estate and Properties in Nsw South Coast are listed in 8 categories. We have 125 Industrial Warehouses for Sale & Lease , 65 Retail Shops for Sale & Lease , 39 Offices for Sale & Lease , 17 Development Lands for Sale & Lease , 3 Medical and Consulting Properties for Sale & Lease and 3 Showrooms for Sale & Lease . Retail Space! $500 per week +GST+Outgoi.. Spacious Office Suites $250 p.w. 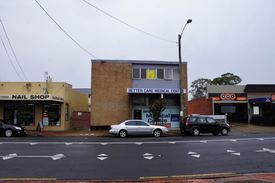 Situated in central Fairy Meadow on the Princes Highway, these upstairs office suites for lease would suit a specialist or offices for any business and comprise of: two separate offices storage area shared lunch room amenities on the same level parking at the rear of the building $250 p.w. 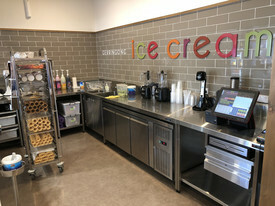 This retail showroom with a total floor area of approx 935sqm is positioned among major retail chain stores including Harvey Norman, Nick Scali, Domain, BCF more. 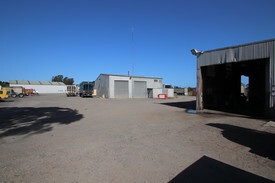 With high traffic flow exposure and ample customer parking, this property is suitable for a number of businesses. These premises are one of the last remaining bulky goods/retail with King Street frontage on the market at this present time. 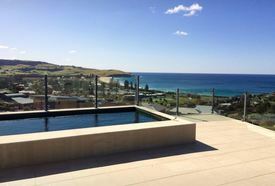 Call Danny Mojanovski on 0424 163 173 to arrange an inspection. Drive-thru Take-away Opportunity $1000.00 per week plus gs..
Retail Space! $300.00 per week + GST (p.. Excellent opportunity to lease this retail space with main street frontage. Would suit various business types. Contact Danny on 0424 163 173 for more information. 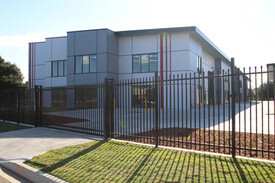 Office space located in the industrial precinct of Unanderra. Approximately 80sqm Easy access onto the Princes Highway and Freeway Internal amenities Contact Daniel on 0499 992 604 or Danny on 0424 163 173 to schedule an inspection. Located on High Profile street. Amongst multiple types of Business. Approx total area 221sqm. 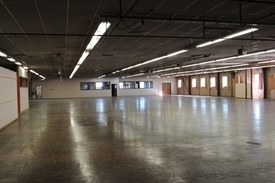 Includes warehouse/office space. Flexible to accommodate multiple business types Off street parking behind warehouse Includes Mezzanine space within workshop/warehouse Multiple room office space. 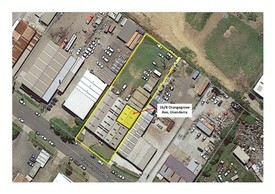 Warehouse And Hardstand $90,000 PA + GST + Outgoi..
Industrial Warehouse Complex $38,950 PA + GST + Outgoi.. 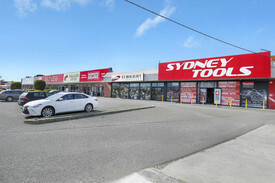 Located along Princes Hwy with high traffic flow Bonus corner location providing dual access Over 1500sqm of warehouse space with two roller doors for access 3 Phase Power, Office space, large kitchenette and amenities Easy access to Port Kembla and major Motorways Located opposite to Bunnings to be constructed Would suit multiple business uses distribution, joinery, display showroom etc. 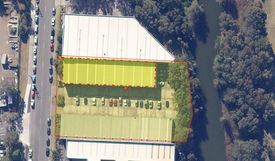 Located within Unanderra's Industrial precinct Approx 160 sqm warehouse with amenities Zoned light industrial High roller door with good truck access and signage rights. Contact Daniel on 0499 992 604 for more information. Reception Services | Professional Space | Fitted And Furnished $191pw | 2 Person Workspa..
PROPERTY OVERVIEW $191pw Price incl. 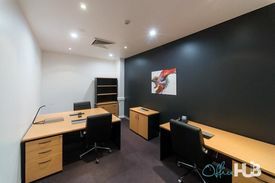 Amazing serviced office space in Wollongong. Price incl. Rent, Electricity, Building Outgoings & All Utility Bills Reception services Flexi terms Stunning space Regular cleaning Full time access Great Location Collaborative environment Avail NOW for short or long term rent This absolutely stunning office space located in Wollongong is impeccably styled and filled with an abundance of natural light. It has been designed to provide a quality working environment and boast luxury and elegance. This office is one of a kind and is perfect for those who have dreamt of working in a beautiful & creative space. The advertised office space is perfect for a team of 2. If you need more or less space, we have over 30,000 furnished workspaces all over the world suitable for a team of 1 to 200+. Our award winning team offer a free service that will help you find the perfect solution for your needs, so reach out if you need more help. What you get for your weekly rent: Furnished office with a desk, chair & storage Access to boardroom & meeting rooms Access to printer office equipment Reception services All included electricity usage Daily general cleaning Professional business address to put on your cards 24/7 access 24/7 security Flexible contract terms Office features Modern fit out Dedicated mens and ladies bathroom Kitchen Fully equipped Air Conditioning Brightly lit space Building Features Modern commercial building Quality finishes and amenities Lift access to all floors Car parking in building and surrounding areas 20m to Bus stop Burelli St 300m to Crown St Mall 100m to beach 250m to MacCabe Park 5 minute walk to Wollongong Train station WHO IS OFFICE HUB? Office Hub is Australia & New Zealand\'s No 1 small office space commercial real estate agency. We have the largest collection of shared spaces, coworking and serviced offices in Australia & New Zealand, perfect for 1 100 employees. Let us take you on a tour of all the spaces that fit your needs and budget. Our service is complimentary and we work for you and the landlord to negotiate the most competitive deal in the market. Let us show you how shared and serviced offices can be the perfect solution for your business. www.office hub.com.au www.office hub.co.nz Conditions apply A portion of the square meterage factors in access to shared space. Price includes any incentives offered. This is for new tenants only. 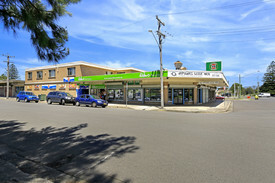 Retail Space $347.55 per week GST Incl.. This is the opportunity you have have been waiting for... This retail space is perfect for your small business to thrive, with great main road exposure in a complex of 10 in the heart of Horsley. Approximately 48sqm of internal floor space Security roller shutter on shop front Main road exposure Existing fit out Please contact Daniel on 0499 992 604 if you have any questions or to schedule an inspection.